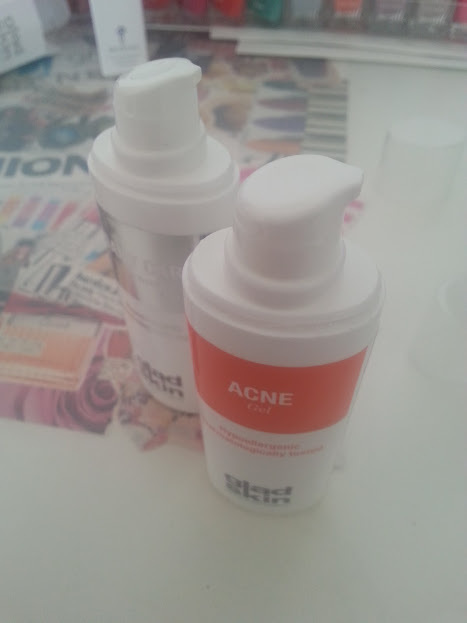 Ergh acne, what a horrible word but something that I have to live with and have started to cope with, changing my diet, looking after myself and the most important one of all my skincare has become very important to me. 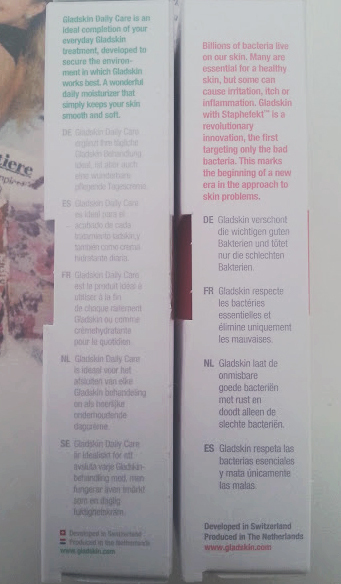 For the past few weeks I have testing out the Gladskin Acne Gel* + Daily Care Cream* to see how they work and what benefits they have. I am terrible at applying moisturiser to my skin and the main reason is because a lot of them feel greasy. 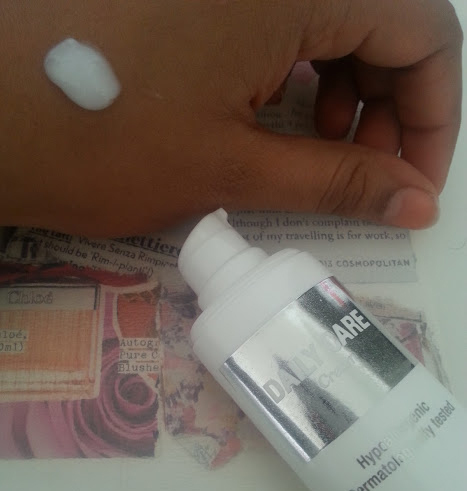 When it came to testing this care cream I didn't have very high hopes, but the texture of this cream isn't greasy at all and sinks into the skin to give you a nice base for your makeup/other skincare products. All Gladskin products are made for sensitive skin, paraben and perfume free makes them great for all skin types no matter what you are. 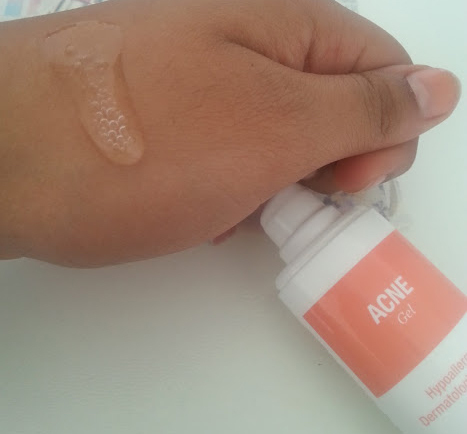 I have never used a spot treatment like this acne gel, you don't apply it last or on top of everything instead you apply it first, leave it for 5-10 minutes and then apply your creams on top, the gel can be removed if you want but by the time is up the gel disappears. 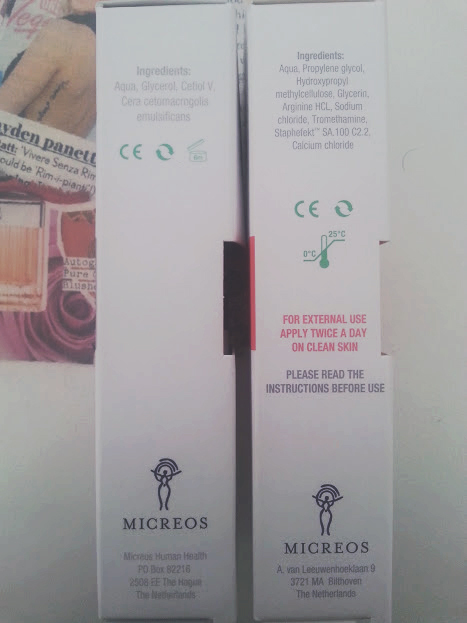 The experience of using this was very weird, but I have got used to it and two weeks after using it I have seen an immediate difference in my acne overall, mainly on my forehead. It is recommend to use this twice a day, but I forget most of the time and just used it at night - perfectly fine! The only thing I don't like about this gel is the consistency. I expected a 'gel' to be much more thicker, yet this is runny. After 10 minutes of applying however it becomes like a peel, and you can remove it?! Very weird but it works! The best thing about both these products is the pump on the bottles! It makes applying them easy and fun as well. 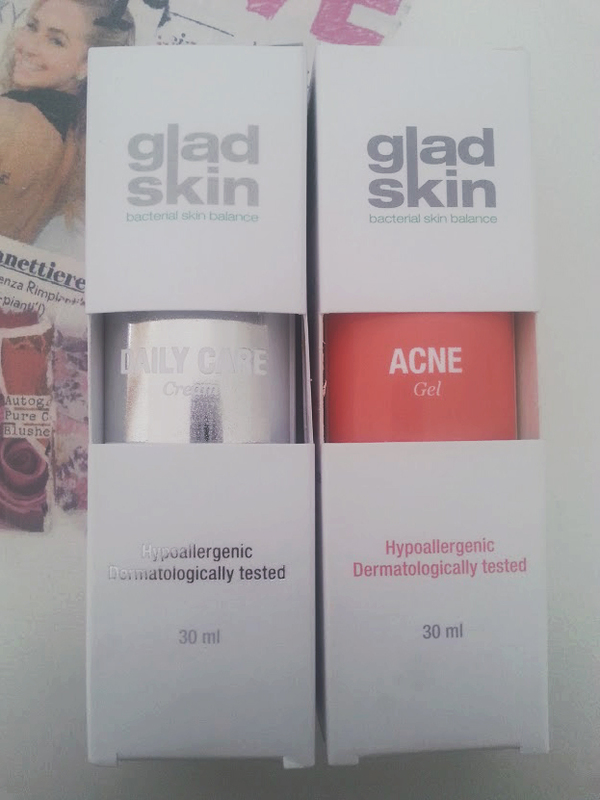 I love that within just two weeks of using these products as a pair I have seen a difference in my skin. My acne has reduced not disappeared but I guess that is something that takes time to happen. I love that Gladskin market these products together, knowing what to use and when.